There are many advantages of purchasing Puerto Vallarta real estate: You can just enjoy your dream vacation property personally, enjoy a return on your investment or benefit from rental income. 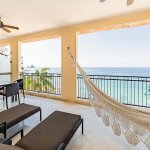 One of the best short term advantages is the Puerto Vallarta real estate rental income that you can receive, especially if your real estate is in popular areas of the city. Currently, renting out your real estate in Puerto Vallarta is easy to do. Owners can choose to rent out their property in Puerto Vallarta in short-term, long-term, and mid-term, and this will provide income, which will be based on how long and often you rent out your real estate property in Puerto Vallarta. You could even rent out the property by the week, which will ensure you the control on the time that you want to use the property. Whatever path you decide to choose, you will have Puerto Vallarta real estate rental income, and when your property is located in sought out destinations such as Puerto Vallarta, then there is no limit to the rental income that you will receive. Puerto Vallarta real estate owners will have plenty of options when you purchase the property for strictly renting it out. You can be in charge of the rental schedule for the property along with managing all the guest renters with the assistance of Air BnB, Craigslist, and VRBO rental websites. If you plan on using Craigslist, then you will need to live close to the rental property if you plan on controlling the property. You can also hire a property manager, which will handle the guests and their needs when they arrive to the rental. Another option is hiring an independent rental agency or property manager with a popular chain for your Puerto Vallarta rental. Being a fractional real estate owner will still provide you with the same benefits and opportunities as regular real estate owners in Puerto Vallarta during their allocated times during the year. The rental potential will be depending on the time length of your fractions, and you will be able to rent out some of your time and use the rental too. It may surprise you to know that short term rentals can make you more money than a long term rental, but you will have to manage them, so you will need to have the time, strength, and energy to do so. During the weekends and major holidays you can charge more rental fees. You won’t get the same amount of money if you rent out the rental property by the month or long term. If the rental property is located in a destination that has a low season, then during the peak season you will make more money and this will balance out the money between the seasons, which is why most real estate owners prefer renting out their property long term as the owners will not have to be around the property a lot or even ‘babysit’ the guests and property. Have you made rental income on Puerto Vallarta real estate? Please share your experiences.